Griff Electric has been providing residential and commercial electrical services in Rhode Island since 2008. We are a local, family-owned and operated company. Our team of licensed electricians has extensive experience ranging from small service jobs to large commercial projects. Located in Portsmouth, Rhode Island, our electricians travel throughout the region, including Middletown, Newport, Jamestown, Bristol, Barrington, Providence, East Greenwich, Little Compton, Tiverton, Narragansett and beyond. Griff Electric is fully licensed, bonded, and insured. 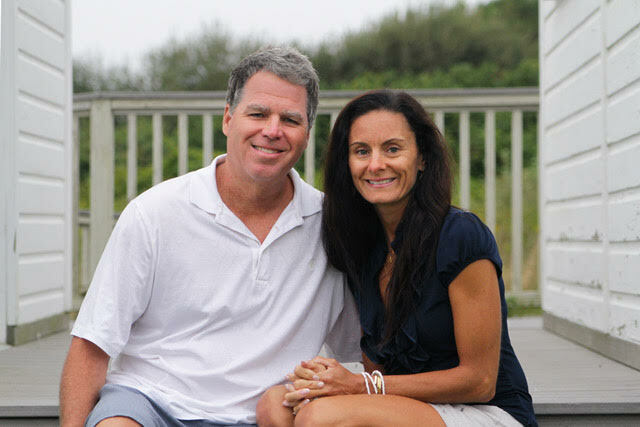 Sean Griffiths founded Griff Electric with his wife, Valerie, in 2008. He has over 30 years experience in the construction industry, beginning as a carpenter before becoming a Master Electrician. Sean is known as “Griff” to his family and friends. Valerie is Co-Owner of Griff Electric. She is a graduate of Salve Regina University. She is committed to bringing professional, quality service to all of Griff Electric’s customers. Griff’s team includes a licensed Master Electrician, Journeymen and Apprentices. All our electricians are certified by the State of Rhode Island. For residential or commercial electrical services, call us today at (401) 293-5255. Griff Electric will work with you to select the ideal lighting solution for your space. We can help with ambient lighting, bathroom lighting, cabinet lighting, fan and kitchen lighting just to name a few. We install a variety of exterior lighting including path lights, outdoor wall sconces, accent lights and other types of outdoor lighting to accentuate landscaping and enhance safety. Our experienced team will ensure your wiring is up to code and meets your electrical needs. We’ll assess your needs for both functionality and style to design the lighting scheme that’s best for your home or business. Want to put our expertise to work for you?